The mythical Paul Bunyan was enormous. Paul Bunyan Communications’ GigaZone appears to be following his example as it continues to expand throughout northern rural Minnesota. The cooperative recently announced that they are expanding the upgrade once again, bringing Gigabit per second (Gbps) capacity to their members via the Fiber-to-the-Home (FTTH) network. This time, members in the communities of Kelliher and Northome will have access to the upgrade. The expansion brings gigabit network to more than 1,700 additional locations; this will bring Paul Bunyan’s GigaZone footprint to more than 29,400 locations. The network covers more than 5,000 square miles in Beltrami County and also reaches areas of Cass, Hubbard, Itasca, Koochiching, and St. Louis Counties. In November 2016, the cooperative began offering service on the Red Lake Nation, which makes it one of only a few tribal communities with high-quality Internet access. Paul Bunyan provides gigabit connectivity to local schools for affordable rates and has been awarded the Leading Lights National Award for most Innovative Gigabit Broadband Service. Paul Bunyan Telephone began in 1950 when the residents in very rural northern Minnesota either had no telephone service, or received it from their townships, which meant they had to share lines with up to nine other customers. As a prerequisite to obtaining a loan from the Rural Telephone Administration (RTA) through the Rural Electric Administration (REA), the Co-op Board had to purchase and operate an existing system. They started with the privately owned Kelliher Telephone Company along with the Hendrickson Township Telephone system. In addition funds they had obtained by selling memberships in the cooperative, the board directors agreed to mortgage their own property as collateral so another local cooperative and a local bank would loan Paul Bunyan Telephone enough to purchase both telephone systems. It was a risk, but it paid off. We have created a new fact sheet: Minnesota: Cooperatives and Local Governments Can Solve Rural Digital Divide. The fact sheet highlights rural areas with excellent connectivity and the role of cooperatives and municipalities. Minnesota cooperatives and municipalities have done great work to bring fast, affordable, reliable Internet service to rural areas throughout the state. They've built many Fiber-to-the-Home (FTTH) networks, but there is still much work left to do. One in 4 Minnesotans lives in a rural area, and of those rural households, 43 percent lack access to broadband, defined by the FCC as 25 Megabits per second (Mbps) download and 3 Mbps upload. Resilient, robust, fiber is the long-term goal, but fixed wireless can help extend coverage in hard-to-reach rural areas. Learn more about Minnesota’s connectivity in Community Broadband Bits Episode #190 with Dan Dorman, Executive Director of the Greater Minnesota Partnership. He discusses the "donut hole problem" and the economic development potential of rural Minnesota. Check out all of our Community Network Fact Sheets here. You can also subscribe to a once-per-week email with stories about community broadband networks. Connectivity Cornucopia: We Give Thanks! This time of year, people come together to celebrate the things they are thankful for and appreciate. Here at the Institute for Local Self-Reliance, we want to take a moment to appreciate all the communities, people, and wonderful ideas that help spread the concept of fast, affordable, reliable connectivity. A few of us looked into the cornucopia that is feeding the growth of publicly owned Internet networks and picked out some of our favorites. There are more people, places, and ideas than we could write about in one post. Nevertheless, it's always good to step back and consider how the many contributions to the Connectivity Cornucopia accelerate us toward high-quality Internet access for all. We appreciate the voters in Colorado who chose to reclaim local authority. This year, 26 more counties and municipalities asked voters to opt out of restrictive SB 152, and all chose to take back telecommunications authority. They joined the ranks of a groundswell of local Colorado citizens who have voiced their opinion to Denver - 95 communities in all. They know that they are the best situated to make decisions about local connectivity and, even if they don’t have solid plans in place, want the ability to investigate the options. Colorado voters rock! Native American communities throughout the United States have rather bleak figures when it comes to Internet access. That’s about to change. In Minnesota, Red Lake Nation now has access to some of the fastest Internet service in the entire country. The telephone cooperative Paul Bunyan Communications has extended its GigaZone, offering a Gigabit (1,000 Megabits) per second Internet service, to the tribal nation. “Having access to fiber Internet services is vital to our rural economy and impacts so many aspects of life. To start a new business, find a good job, or get a high quality education you need a quality high-speed Internet connection. The GigaZone is on the cutting edge of technology and enhances the Red Lake Nation's unique assets, including a large workforce and the Red Lake Nation College, for economic development and business expansion. We're excited about the positive impact this will have on our Tribe now and well into the future." The Gigabit service will be available in the communities of Red Lake, Redby, Little Rock and Ponemah. 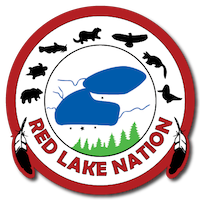 The Red Lake Nation is home to about 13,000 Ojibwe members, and is the only “closed reservation” (meaning that the land is held in common) in Minnesota. The nation is a model of self-reliance: they just announced the launch of an all-solar electricity project. Paul Bunyan Communications in Minnesota reports it has expanded its “GigaZone” Internet service territory to Turtle River, Puposky, and Tenstrike and to additional areas of Bemidji. More than 2,800 additional locations now have access to, among other services, Internet speeds of up to 1 Gigabit per second (Gbps) following the recent upgrades to its fiber-optic communications network, the Bemidji-based co-op notes. "Over the next several months we'll be activating the GigaZone in many more areas,” Gary Johnson, CEO of Paul Bunyan Communications, said in a company statement. "We will continue to do as much as we can to bring the GigaZone to all our members and the communities we serve as fast as we can." The co-op said its GigaZone service is now available to more than over 21,600 locations. Previous areas served include rural Park Rapids, Lake George, Trout Lake Township east of Grand Rapids, most of Grand Rapids, Cohasset, and LaPrairie. The co-op has an online map showing the active areas of the GigaZone as well as future areas that are set for construction. The co-op said that members who subscribe to GigaZone Broadband can also add PBTV Fusion and/or low cost unlimited long distance phone service. About a year ago, we reported that Paul Bunyan Communications won the 2015 Leading Lights National Award for Most Innovative Gigabit Broadband Service. The northern Minnesota cooperative beat out both local innovative local firms like C Spire and national companies like Google. As you say good-bye to September, consider making your way to Minneapolis, Minnesota, to attend the 2016 Broadband Communities Mag Annual Conference at the downtown Radisson Blu. The event is scheduled for October 18 - 20 and you can still register online. The Economic Development Conference Series brings Fiber For The New Economy to the "City of Lakes" as part of its Community Toolkit Program. The conference is full of information you can use if your community is looking for ways to improve local connectivity through fiber. There will be presentations on economic development, financing, and smart policies that help lay the groundwork for future fiber investment. There are also some special sessions that deal specifically with rural issues and a number of other specialized presentations and panel discussions. Christopher will be presenting twice on Wednesday, October 19th at 10:00 a.m. and again at 11:15 a.m. with several other community broadband leaders on the Blue Ribbon panel. They will address questions and discuss important updates, review helpful resources, and describe where we need to go next. Next Century Cities will present a special Mayor’s Panel on October 20th and the Coalition for Local Internet Choice (CLIC) will arrive on October 18th for a special day-long program.